Sometimes we use the fact that we are not “gifted” in a particular way as an excuse. We tell ourselves that we shouldn’t bother to witness, offer acts of service, or show mercy because it isn’t our “gift.” This is wrong and not Biblical. Our individual gifts will be our serving “sweet spot” — they will show us where to concentrate our efforts. That doesn’t mean we can never do things that are outside of our natural comfort zone. Living the Christian life means learning and growing. One way to do this is observe those with a particular spiritual gift and imitate them. I have several friends with the gift of hospitality. I may never be able to match their effectiveness and joy in opening my home to others; but I can watch and learn. I can take note of how they try to make their guests comfortable and welcome and I can try to incorporate some of those things into my own life. I can take some steps in the direction of becoming a more hospitable person. I have another friend who once talked to be about how she had taken care of her mother when she became elderly and ill. She said she came to realize that God gave her that opportunity so she could learn to be a better servant. She has the gift of mercy. I don’t, but when I faced the same situation with my mother, her words encouraged me and helped me to see unpleasant tasks as an opportunity instead of a chore. My husband has the gift of teaching. I don’t. But I have learned some of his techniques by many years of sitting in his classes. When I need to step up and lead a Sunday School class, I do not have his poise and natural style of delivery, but I do have the gift of knowledge, and I can work to impart that to others. In the same way, my husband does not have a natural gift of encouragement, but he has seen me send cards and notes and give hugs, and he reminds himself that sometimes these things are good to do even if it’s not his natural inclination. In the verse above, the apostle Paul tells the Corinthians to imitate his life, just as he is trying to imitate Christ. We too should find godly people within our church and strive to imitate them. Remember the story of the little boy with the small number of loaves and fishes? Jesus used his small gift to feed 5000! Give your willing gift, however small, to Christ and he will multiply it and use it to bless others. The spiritual gifts assessment tool I have been using with our congregation helps people to identify not only their gifts, but also their passions. When you have a passion for something, you love it, and you love to do it. It occupies your mind and warms your heart. Your passion will probably determine how you use your gifts. My passions are reading and writing. I always have a book in my hand (according to my family). I love to tell people about my most recent “great read.” I love to loan books to people. I also like to write. I don’t care if I get paid for my writing, I just enjoy doing it. My most prominent spiritual gift is encouragement. My passions (reading and writing) + my gift (encouragement) = my ministries (this blog, the Little Free Library). When you allow your passion to drive your gifts you wind up being a cheerful giver of whatever talent you have to offer. I don’t blog or donate and lend books to others because it’s a duty, something I must do to earn approval from God or others. I don’t do these things because the Pastor, or somebody else told me I should. I do them because they give me joy. I get a charge out of hearing someone else learned and grew through a book I recommended. My heart is lifted up when a reader shares that a blog post nourished his or her spiritual life. Readers, go where your passions and gifts are calling you! 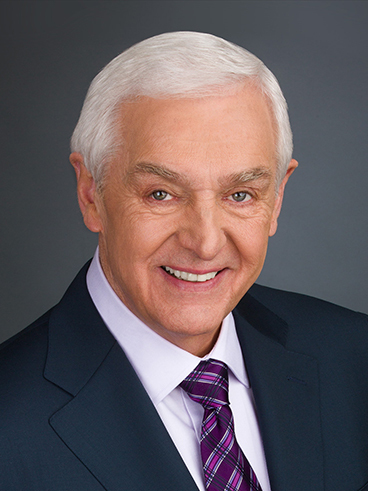 You’ll find yourself becoming a cheerful giver of all the gifts God has first given to you. God gave us gifts for a reason — to serve one another. They are not meant to puff us up, but they are meant to be used. Whatever our gift, we have a responsibility to use it in ministry. As this idea went around in my head, I thought about The Servant Song. Written by Richard Gillard, an Anglican from New Zealand, this song began in 1977 when Richard jotted down v. 3 on a piece of paper. Returning from travels in Britain, Europe and Israel, he found it in his guitar-case. He completed the song, the original first line of vv. 1 and 6 being ‘Brother, let me be your servant.’ It became the most well-known of his compositions. I hope you will love it as I do. It’s exciting and interesting to learn about your own spiritual gifts, but another great benefit of this kind of assessment is you learn about your weaknesses and where you need help. Our gifts are meant to complement one another. No one person has every gift, so we must work together to accomplish God’s mission in the world. certain members of the Body of Christ to set goals in accordance with God’s purpose for the future and to communicate those goals to others in such a way that they voluntarily and harmoniously work together to accomplish those goals for the glory of God. Contributes: Direction. gives to certain members of the Body of Christ to understand clearly the immediate and long-range goals of a particular unit of the Body of Christ and to devise and execute effective and efficient plans for the accomplishment of those goals. Con­tributes: Efficiency. I can often see the direction or place I want to get to, but all the steps to get there, the many details, the “how” is not easy for me. I get frustrated and stressed by trying to work through all the details. It might take me days to get to the plan a good administrator sees in an instant. As a leader, I do my best work when I have someone with the gift of administration by my side. This is not true of everyone– some individuals will be blessed with both gifts. However, it is true of me, so spiritual gift assessment has taught me not only my own gifts, but how to seek out those with the right gifts to work with me. Is one gift more valuable? As the apostle Paul would say, by no means! All the gifts are important. All the gifts are given by God. Each one has its’ part to play. We need to work together. This book was loaned to me by one of our FTF team members when I met with her to do her spiritual gift assessment. Frankly, I didn’t expect to learn anything new, as I have read many books about spiritual gifts over the years. However, I did! God always has something new to teach us, and we should never think “I know it all!” about any Biblical topic. 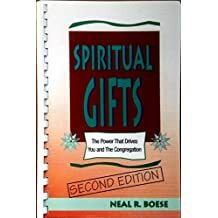 Pastor Boese reviews the theological basis for gifts, provides definitions and summaries of each gift, and offers many personal examples of how he has seen spiritual gifts change the lives and ministries of people he has met. I was especially interested in his chapter on implementation which described a plan for making spiritual gifts a focus of the congregation. Verdict: If you don’t know much about spiritual gifts, you’ll learn the basics; if you already have that information, you’ll learn how to develop a plan for raising the consciousness of your congregation about spiritual gifts. I’m definitely planning to pass this book along to my husband (our pastor).